The amazing thing about Christmas is that you finally get some time to play those games you have been reading all about throughout the year nearly over. And 2009 has been a belter for gaming. Of course, as sensible and mature adult gamers we all know about the "tyranny" of lists. The editorial thought-crime of simplifying and reducing a year's worth of top-notch interactive entertainment into an easy-to-eat, consumer-friendly buyers' guide for daft noobs, narrowing the hundreds of quality games that have been released throughout 2009 down through our own personal taste filters and presenting the top twelve to you on a plate. Still, everyone else is at it. So here we go. And sure, we've missed off plenty of great games here (do feel free to tell us which in the comments below). No doubt we'll be getting (yet more) calls from annoyed PRs demanding we explicate our reasoning. Hey ho! Here are our essential twelve games you really must put some time aside to play this Yule. "Killzone 2, Metal Gear Solid 4 and LittleBigPlanet usually lead discussions of big PS3 exclusives. But Naughty Dog has truly stepped up to the marker with this stunning third-person adventure," noted CVG's Mike Jackson in his review of the game. "Uncharted 2 shows off a technical prowess and refined artistic composition that's above everything you've ever seen. The locations, set pieces, camera angles and lifelike animation; it takes everything you'd expect from a third-person adventure and does it better. This is how you make a game." Throaty-voiced protagonist Nathan Drake is the rightful heir to the "PlayStation Hero" crown and Naughty Dog's game rightfully secured 10 out of 10s across the board. What more can we say? Just play it. "Sublime in single, co-op and multiplayer. An incredible package," said the guys over on PSM3 Magazine. And it really is hard to disagree. While some tabloid hacks decided to pick fault with that terrorist scene in the airport, Activision's latest outing in its Call of Duty series will bring out the hidden boy-soldier that lurks in every man. Again, reviewers were tripping over themselves with superlatives and 10s (or high 90s in the percentile bracket). Even Edge agreed, dishing out a rare 9-out-of-10 and telling us that Modern Warfare 2's multiplayer was "even better than that of its predecessor" and "as fast, unpredictable and exhilarating as anything there's ever been in the genre." Infinity Ward, TechRadar salutes you. And the thousands of MW2 widows across the land now hate you. Good work, soldiers! What the hell? A superhero game that blew our minds, you say? Lovingly developed in a Kentish Town Studio by Rocksteady Games, this really was a first. Batman came from almost out of nowhere to quickly become one of our favourite single-player adventures of 2009. If you can afford the rather expensive Nvidia 3D Vision kit, we highly suggest that you play the "Made for 3D" version on PC. In the dark. "Arkham Asylum is not your typical licensed game," agreed CVG's Andy Robinson. "For one, it's bloody brilliant. Rocksteady Studios has caught us totally by surprise with an expertly crafted, supremely polished single-player game that really is up there with the best. "Its production values rival Gears of War. Its attention to detail is almost unmatched outside of the very best first-party console exclusives. Batman: Arkham Asylum is simply a shockingly good action romp in a cape and utility belt." 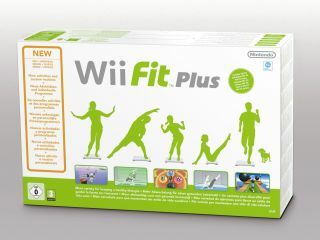 While not strictly a "new" game, this is the Wii title we intend to spend the most time with this Christmas holiday. The Metroid Prime trilogy, Miyamoto's game design at its finest, lovingly updated and presented in a three-in-one box set. Official Nintendo Magazine noted that the two older games, which were already immense as stand-alone titles, had "been given the enhanced controls that made Metroid Prime 3: Corruption such a fluid and fast-paced shooter." In addition to the traditional seasonal gluttony, returning to Metroid Prime 2: Echoes ("in many ways the Empire Strikes Back of the series") is perhaps what we are most excited about this Christmas. Perhaps the one true "gamer's game" of 2009. Oh, come on! Lighten up. You really do need to buy a couple of games that you can play with the kids this holiday. After all, Christmas is about them, too. It's not all about you taking some time out to disappear into your war-drenched fantasy adventure-land. And we've got some important news for you. The kids like LEGO more than they like heavy metal or The Beatles. We've put them down in front of the new Guitar Hero 5, Beatles Rock Band and LEGO Rock Band in a recent scientific study. And the surprising result was that we also preferred to play with LEGO versions of Blur, Bowie and others than the real (virtual) thing. Gamesradar.com concurred, telling us that, "seeing LEGO versions of an emaciated Iggy Pop, a moustache-emblazoned Freddie Mercury, a pretty boy-era David Bowie, and even the guys from Blur bash out their hits amidst a visual rock-n-roll cacophony of plastic toy bricks and rampant silliness offers far more enjoyment then we might first care to admit. "Successfully combining two very distinct and well-known franchises, LEGO Rock Band goes a long way towards making the rhythm game genre more palatable to a truly all-ages audience." So PC gaming is dying on its arse is it? No, it's not. Go away for a week and play Sega's Empire: Total War and then we'll talk, because this beautiful strategy game is by far the game of the year for fans of the genre. It is, as PC Gamer scribe Jim Rossingnol put it, "the grandest, most spectacular work of strategy gaming on the PC… I challenge you to play Empire and not be impressed, or even fundamentally changed by the experience. This is one of the most playable, and therefore important and accomplished, games ever created." Big words, Mr Rossingnol, but correct ones. If you have ever dabbled with strategy games or harboured thoughts of creating your own fantastical European empire then this is a deep delight. Total War looks beautiful and is also fiendishly clever and historically accurate. Developers The Creative Assembly have made what is the most enjoyable PC game of 2009, without dumbing down one bit. A triumph.